One of our most meaningful projects in Special Collections & Archives is the management of the Emmett Till Archives. The Till Archives collects, preserves, and provides access to primary and secondary source material related to the life, murder, and memory of Emmett Louis Till, whose death in 1955 is significant in the history of the African-American Civil Rights Movement. Our most comprehensive resource for researchers interested in national press coverage of the Till murder and related events is the Davis Houck Papers. Coming from a strictly public library background, at first the world of Special Collections felt just as foreign and mysterious to me as I’m sure it does to many people. Luckily, as a graduate assistant in Special Collections & Archives, I’m in exactly the right position to learn more about it every day. While it might seem obvious why some books are special — they’re often very old, or very scarce, or both — archives are a bit more elusive. 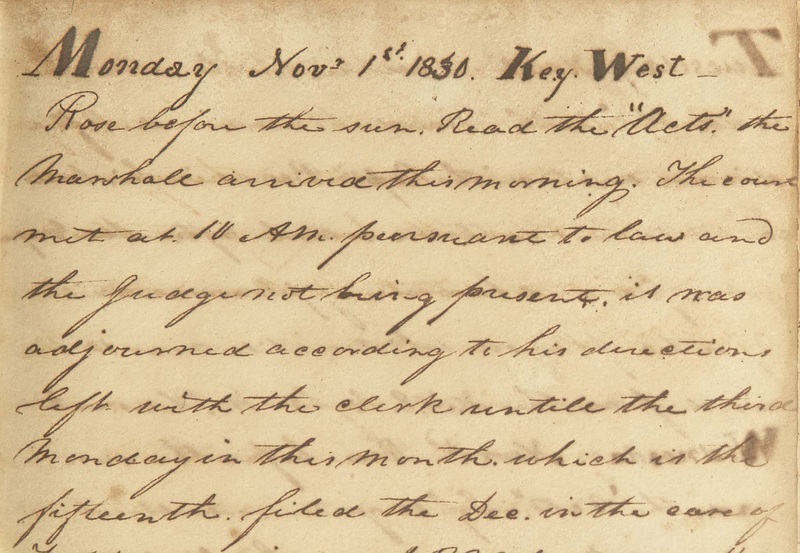 As the Manuscript Archivist explained to me, archives provide contextual primary source documents to help researchers understand the environment surrounding a person or event. My first project as a graduate assistant involved the Gloria Jahoda Collection – or rather, collections. An author whose husband taught at Florida State University, Gloria Jahoda initially donated a portion of her personal notes and manuscripts to FSU Libraries forty years ago. Some donors might offer more material to the archives after the first gift; this can happen quickly or many years later. These new items are assessed to see if they fit within the scope of the initial donation and, in many cases, added to the same collection. Sometimes, though, this doesn’t happen. When I started working with her manuscripts, Jahoda’s work was spread across seven collections, all donated at different times. I was first tasked with looking over the materials to find a major theme that might unite them into a single collection. I divided the work into new series – like smaller chapters in a single book, series help organize a collection by grouping items together based on their original purpose. I then rearranged the materials, removed duplicate publications, relabeled folders, and copied unstable materials (like old newspaper articles) onto paper that wouldn’t discolor or deteriorate. As this was happening, I learned a lot about who Gloria Jahoda was. She was born in Chicago and was very proud of the fact that her first poem was published at the age of four. She liked to write on overlooked areas of Florida, including Tallahassee, which she described as being “200 miles from anywhere else.” She photographed her cats. She enjoyed classical music, especially by the English composer Frederick Delius. Her book The Road to Samarkand chronicled Delius’s life, including his time spent managing an orange plantation in Florida. She was an elected registrar of the Creek Nation. She spoke about ecology and conservation. Gloria Jahoda was bold, witty, and passionate. What’s left behind after her death in 1980 are her books and, now, the Gloria Jahoda Papers. Visitors to Special Collections can track the development of Jahoda’s works, learn about her personal interests, and laugh at the jokes in her letters. Jahoda’s books document an interesting time in Florida’s development, and I’m proud to say I contributed to preserving her work for future research. To learn more about the Gloria Jahoda Papers, the finding aid can be found here. Everyone enters a field of work for one reason or another. For me, pursuing a Masters of Library and Information Studies began from a desire to be an archivist, a type of information professional that is largely underrated, misunderstood, or even unheard of by the public. The mystery regarding the profession drew me in initially. Popular culture depicts archives as dark and secluded repositories with strict access restrictions guarded by a gatekeeper, hesitant to divulge any of the archives’ secrets. Think of the less-than-helpful associate in the Jedi Archives who turns Obi-Wan away in Star Wars Episode II; she might as well have shushed him while she was at it! The reality of archives is quite the opposite. In all of my experiences, archivists are more than happy to help you in your research and want to share the collections as much as possible with the public. That’s why they collect it all. In order to do so, however, they must establish order. In a job where creating order out of disorder is a top priority, the profession tends to attract many an OCD history buff. There’s something viscerally satisfying about organizing a dusty old mess of papers into a neat collection of documents in acid-free folders, legibly labeled for ready accessibility. Many steps go into creating this order, however. After gaining legal custody of the documents, the archivist has to “gain intellectual control,” which is a sophisticated way of saying “learn exactly what kind of stuff is in the collection.” In order to do this, one must comb through the contents, which could take a very long time depending on how many linear feet the collection is, and create an inventory. The collection I’ve been “gaining intellectual control” of is called the Douglas and Jeannette Windham Papers, which contains the papers and publications of Douglas and Jeannette Windham, a distinguished FSU alumni couple. I’ve listed the materials that are in the collection, including personal papers, correspondence, academic articles, photographs, and professional reports. Once intellectual control is established, I can work with the archivist to determine a plan for order and begin to folder the contents into acid-free folders. A.K.A. the fun part! The kind of fun that is on par with labeling the shelves of your pantry, or color-coding your closet. (Yes, this is how I live). The ordering continues when the boxes are stored in the stacks which are kept under strict environmental regulations in order to best preserve the archival materials from accelerated deterioration. The last step of creating order in the archives is to write the online finding aid so potential researchers can get an understanding of what is in the collection. This helps the collections get used more, which is, after all, the whole point in the first place! And there you have it: archives de-mystified. At over 22,000 rare books and over 65 linear feet of manuscript materials, The John MacKay Shaw Childhood in Poetry Collection is easily the largest single collection in FSU Special Collections & Archives. It serves as a living testament to its creator, John MacKay Shaw (May 15, 1897-March 15, 1984), an AT&T business executive, philanthropist, writer, and bibliophile. 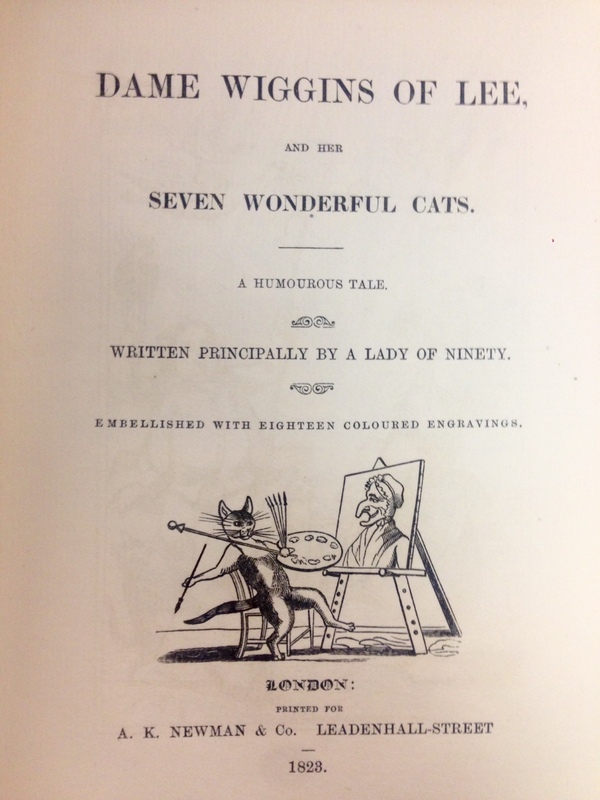 While the original 5,000+ volumes in Shaw’s book collection focused on 18th and 19th century British and American poetry written about childhood and/or for children, it has expanded to contain volumes on biography, bibliography, collecting, writing, and publishing. The collection contains works by major authors and illustrators — Robert Louis Stevenson, Edward Lear, Kate Greenaway, Thomas Bewick, and Lewis Carroll, to name a few — and can serve research interests as diverse as publishers’ bindings, Victorian serials, sacred hymns, and World War I. The books of the Shaw Collection are wonderfully complimented by the John MacKay Shaw manuscript collection (01/MSS 2008-006). This collection includes Shaw’s personal correspondence (including letters from Dr. Seuss! ), lectures, and photographs, as well as administrative information about the development of the Shaw Collection at FSU Libraries. Among the literary materials in the manuscript collection can be found Shaw’s meticulous notes and source materials for his five-volume bibliography on Childhood in Poetry. 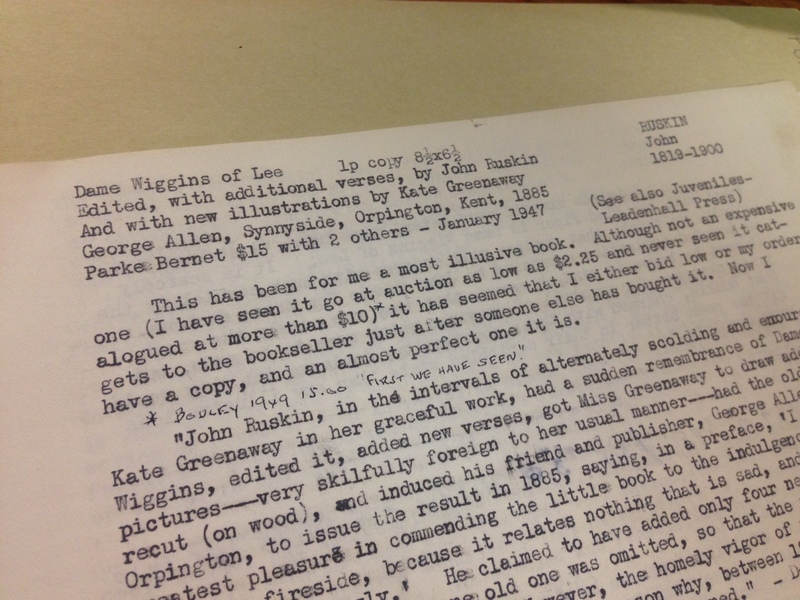 It is these bibliographic notes that give us window into the world of a twentieth-century book collector. In a digital world, where online auction sites and search engines have revolutionized the world of book selling and collecting, Shaw’s notes tell of the struggles and triumphs of a collector in this golden age of bibliophilia. Shaw’s manuscripts add rich layers of meaning to the books in his collection, and both will live on for generations to come. FSU Special Collections & Archives collects historical materials in support of all of the University’s academic programs and for the benefit of local, national, and international scholars. 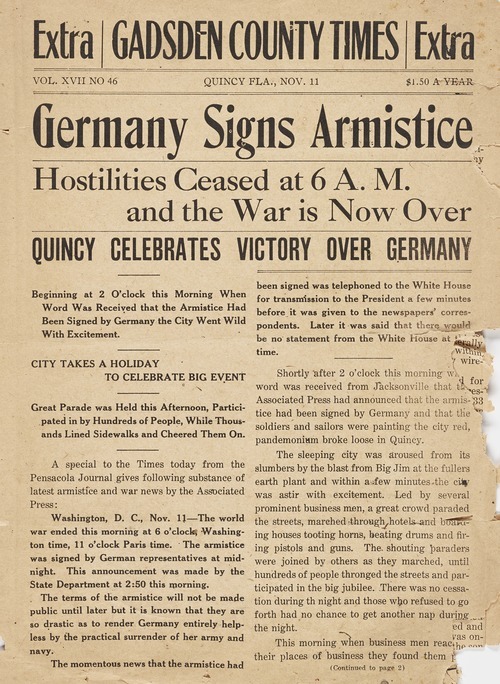 The collections include handwritten documents, published and unpublished textual works, printed posters and flyers, sound recordings, motion pictures, and more, covering a wide range of content including Florida history, the American Civil War, the American civil rights movement, University faculty papers, French history, and literary manuscripts. Personal papers, photographs, manuscripts, galley proofs, and published papers, lecture notes, and office records of Dr. Paul A. M. Dirac, winner of the 1933 Nobel Prize in Physics, Lucasian Professor of Mathematics at Cambridge University (1932-1969), and Professor of Physics at Florida State University from 1972 until his death in 1984. Operational and financial records of the FSU Institute on Napoleon and the French Revolution, as well as the Consortium on Revolutionary Europe, each founded by Horward. Includes addresses, awards, correspondence, research materials, speeches, writings, and publications related to Dr. Horward’s scholarship on the Napoleonic Era. Sound recordings and and transcripts of nineteen oral history interviews related to the civil rights movement in Tallahassee during the late 1950s and early 1960s. Topics include the Tallahassee Bus Boycott of 1956, lunch counter sit-ins, theatre demonstrations, school desegregation, voter registration, and race relations. Publications by and about Marvel Comics, DC Comics, underground comix publishers, foreign language titles, pulp magazines, and Big Little Books. Over 1200 serial titles are represented, predominantly from the 1950s through the 1970s. Production materials for “The King of Kings” and other motion pictures; correspondence, business records, legal materials; educational filmstrips; religious film catalogs, and the “Cap Stubbs and Tippie” newspaper cartoon strips created and drawn by Edwina Dumm, which first appeared in 1918. All of the manuscript collections are available for use in the Special Collections Research Center, 110 Strozier Library, during normal operating hours. Visit us today! Discussing “hidden” collections is a popular pastime in archival circles. We all suffer from collections that have simply never been processed or made discoverable enough for our patrons to find them. It becomes even more difficult when archives staff doesn’t even know when collections exist and there is no discovery tool either for them to easily find them. When this unknown cache of newspapers was found, along with a list of newspaper sources dug up from our associate dean’s desk cupboard, we decided digitizing the newspapers as well as creating finding aids and catalog records was a good idea. Not only were these newspaper collections interesting and hitherto unknown to us and our patrons, they fit some digitization goals we had for the summer; mainly, using and training more with our large format overhead camera. Front Page of the Gadsden County Times, Quincy, Florida. November 11, 1918. This newly minted collection in the FSU Digital Library actually holds materials of nine different collections, some entirely composed of newspapers and some the newspapers are only a piece to the overall manuscript collection. The newspapers range in dates from the mid-1600s to the early 1920s. Geographically, they span from the British Isles to the east coast of the United States. The collection is particularly strong in antebellum and Civil War era newspapers published in the American south. Enjoy exploring the new digital collection of these previously “hidden” materials!